WASHINGTON (AP) — Shortly after arriving in Boston to start a dream job as food stylist and cast member on "America's Test Kitchen," Elle Simone Scott received some life-altering news. BAR HARBOR, Maine (AP) — A laboratory in Maine is announcing a multimillion-dollar collaboration with pharmaceutical giant Sanofi to try to tackle two kinds of cancer. WASHINGTON (AP) — The government form lay on the dining room table in Mary Klein's home in Northwest Washington. At the top, in bold letters, was a simple declaration: "REQUEST FOR MEDICATION TO END MY LIFE IN A HUMANE AND PEACEFUL MANNER." "I need two witnesses for my application," Klein's friend Kelly Saunders recalls her saying. "Would you be a witness?" ST. LOUIS (AP) — A Missouri judge denied Johnson & Johnson's bid to overturn a $4.7 billion jury verdict awarded to nearly two dozen women who said the company's talcum powder contributed to their ovarian cancer. St. Louis Circuit Judge Rex Burlison, in a ruling Wednesday, cited evidence of what he called "particularly reprehensible conduct" by Johnson & Johnson. TUPELO, Miss. (AP) — Breast cancer survivors need to look to the future. Women who are diagnosed with early-stage disease are expected to live full lives after treatment. "Breast cancer screening has essentially transformed breast cancer care," said Tupelo radiation oncologist Dr. Benjamin Hinton. "The vast majority are diagnosed at early stage and have excellent prognoses. People are living longer than ever." ST. LOUIS (AP) — In a story on July 12 about a jury ruling on claims that asbestos in Johnson & Johnson talcum powder contributed to ovarian cancer, The Associated Press erroneously reported that the case was the first against the company that focused on asbestos in the powder. Other lawsuits have alleged asbestos in the powder contributed to cancer. A St. Louis jury has awarded nearly $4.7 billion in damages to 22 women and their families after they claimed asbestos in Johnson & Johnson talcum powder caused their ovarian cancer. Editor’s Note: In observance of Women’s History Month, The Monitor is recognizing local women who inspire us. This is the fourth of eight profiles on those who made our 2018 list of “Women We Love,” a series we’ll publish every Monday and Thursday in March. As a 26-year survivor of ovarian cancer, Marlynn Olivarez works to raise awareness for the disease and provide local support. VANCOUVER, Wash. (AP) — Phyllis Peterson has spent her life helping others. The 83-year-old had a career as a certified nursing assistant. She raised four children. And when she learned her ovarian cancer had returned, she opted for a clinical trial rather than another round of chemotherapy. "My mother wants to help other people," said Peterson's daughter, Wanda Walker. "If it can help younger women to not be poisoned with heavy chemo, then that's what she wants her legacy to be." Jennifer, a married mother of five children, said this has been a difficult year for her family. She was diagnosed with ovarian cancer in March. She underwent chemotherapy and was sick for a while, according to a letter she wrote to Valley Santa. LOS ANGELES (AP) — A judge on Friday tossed out a $417 million jury award to a woman who claimed she developed ovarian cancer by using Johnson & Johnson talc-based baby powder for feminine hygiene. Los Angeles County Superior Court Judge Maren Nelson granted the company's request for a new trial, saying there were errors and jury misconduct in the previous trial that ended with the award two months ago. FOXBORO -- Every week throughout the season, the New England Patriots present the "Difference Maker of the Week" award to a person who volunteers to support their local community and nonprofit organizations. Molly McGaffigan of Groton was the recipient of this week's award for her commitment to Ovations for the Cure of Ovarian Cancer. KANSAS CITY, Mo. 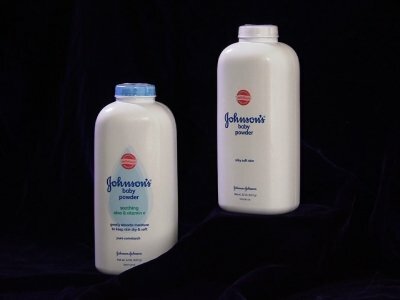 (AP) — A Missouri appeals court on Tuesday that vacated a $72 million award to an Alabama woman who claimed her use of Johnson & Johnson products that contained talcum contributed to her ovarian cancer has thrown the fate of awards in similar cases into doubt. VANCOUVER, Wash. (AP) — Teri Giangreco didn't know the signs of ovarian cancer until she was sitting in her new gynecologic oncologist's office discussing her stage 3 ovarian cancer diagnosis. A poster on the wall listed the four warning signs: bloating, feeling of fullness, pelvic pain and frequent need to urinate. "We can justify them to be anything," Giangreco said. The water flowing in the Newberry Street fountain is teal because September is National Ovarian Cancer Awareness Month. During a brief ceremony Wednesday morning, Debbie Mills and Alicia Owens of Gail’s Anatomy got the organization’s commemoration efforts started a little early by pouring dark, greenish-blue dye into the fountain. KANSAS CITY, Mo. (AP) — A 49-year-old lowland gorilla at the Topeka Zoo in Kansas died Sunday after tests revealed she had late-stage ovarian cancer that had spread, four days after undergoing surgery for constipation. Women visiting the Polk County Health Department for health services ranging from family planning to routine gynecological exams can now also receive free hereditary breast-and-ovarian cancer (HBOC) screening. This new service provides an accurate assessment of personal risk for developing the two cancers, education regarding availability of genetic testing to confirm the risk, and a plan for follow-up and preventive care. ST. LOUIS (AP) — A St. Louis jury on Friday rejected a Tennessee woman's lawsuit that Johnson & Johnson baby powder contributed to her ovarian cancer, a victory for the company after it lost three previous, similar lawsuits in St. Louis. An author fighting ovarian cancer who may not have long to live has offered up her husband in a tear-jerking essay: "If you're looking for a dreamy, let's-go-for-it travel companion, Jason is your man." Amy Krouse Rosenthal described her illness and her marriage in a "Modern Love" column published Friday in the New York Times. It didn't take long for her essay to go viral online. PHILADELPHIA (AP) — A Philadelphia based nonprofit has received a huge grant to develop a screen for ovarian cancer. KYW-AM reports (http://cbsloc.al/2kZkQQl ) that Monell Chemical Senses Center received a three-year $815,000 grant from the Kleberg Foundation on Feb. 9. The funds will go toward finding a test which can help with early detection for rooting out the cancer. The West Valley Ovarian Cancer Alliance proudly announces the ninth annual Teal Ribbon Charity Golf Outing, sponsored by Wild Bunch Catering. The event will be held on Thursday, Feb. 9, 2017. Last year, proceeds from this charity tournament resulted in a donation of $18,500 to the University of Arizona Cancer Center. This donation was directly used to fund a study of patient lifestyle changes and the impact on survivorship. WASHINGTON (AP) — U.S. health officials have approved a new option for some women battling ovarian cancer: a drug that targets a genetic mutation seen in a subset of hard-to-treat tumors. Houston trial lawyer Richard Meadow was named to the plaintiff's committee in the federal multi-district litigation involving ovarian cancer claims against Johnson & Johnson. A federal judge in New Jersey is handling the litigation. TRENTON, N.J. (AP) — For the third time, Johnson & Johnson has been hit with a multimillion-dollar jury verdict over whether the talc in its iconic baby powder causes ovarian cancer when applied regularly for feminine hygiene. ST. LOUIS (AP) — When Deborah Giannecchini was diagnosed with stage 4 ovarian cancer four years ago, it didn't make sense. She had no family history, nor did she seem a high risk. But months later, when her daughter saw a TV ad for a law firm asking ovarian cancer victims who used talcum powder to come forward, Giannecchini realized a possible link: She had been using Johnson & Johnson's baby powder for most of her life. ST. LOUIS (AP) — A St. Louis jury on Thursday awarded a California woman more than $70 million in her lawsuit alleging that years of using Johnson & Johnson's baby powder caused her cancer, the latest case raising concerns about the health ramifications of extended talcum powder use. TRENTON, N.J. (AP) — Two lawsuits ended in jury verdicts worth $127 million. Two others were tossed out by a judge who said there wasn't reliable evidence that the talc in Johnson & Johnson's iconic baby powder causes ovarian cancer. So who's right? And is baby powder safe? ST. LOUIS (AP) — Another lawsuit alleging that a woman's use of talcum powder caused cancer is this week in St. Louis. Lawyers for a Modesto, California, woman say she was diagnosed with ovarian cancer in 2012 after years of talcum use. Her lawsuit accuses Johnson & Johnson of "negligent conduct" in making and marketing its baby powder. PUEBLO, Colo. (AP) — Delene "Dee" Hall knew something was wrong. She had lower back pain and bladder problems, and menstruation was excruciating. For years, decades even, she raised the issues with her doctors. 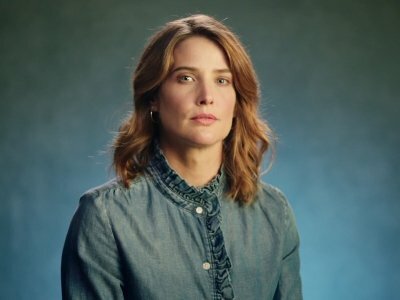 They would diagnose her problem, possibly send her home with a prescription and tell her it was nothing serious, to essentially "walk it off." WATER MILL, N.Y. (AP) — If Kelly Ripa has a preference for who will join her as the co-host of "Live! With Kelly," she isn't saying who it is. Ripa said Saturday that naming a favorite candidate to join her on the morning talk show would be "like telling you who my favorite child is." Ripa spoke at a designer clothing sale to benefit ovarian cancer research in Water Mill, New York.